Back in January, when I started this blog, I posted this article about six poisonous plants to pets. Since then, I’ve only shared my favorite pet-safe plants, so I think it’s time for another installment. Plus, I just Googled “pet safe plants” and it amazed me how much mis-information came up. 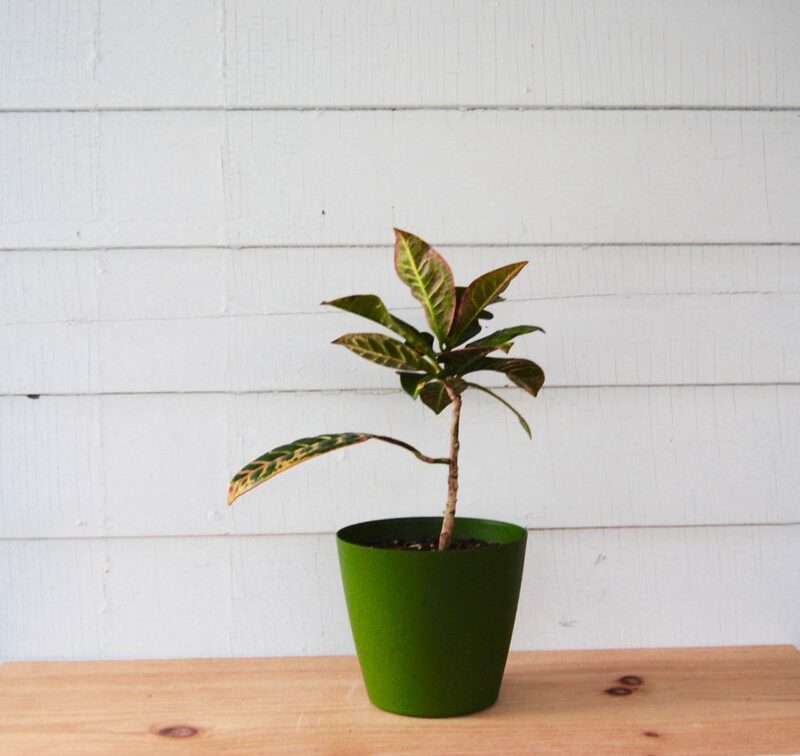 A plant’s toxicity is not always black and white, but it kiiinnddaa is. I mean, it will harm your pet or it won’t. Honestly, I just want to know what and what not to buy, don’t you? 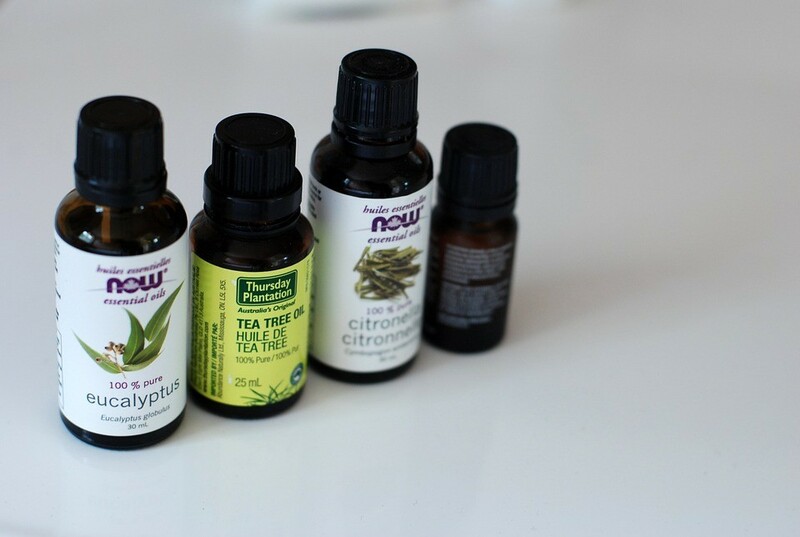 After seeing the search results I decided to sit down and write this list of another six toxic plants. So let’s begin. I love Pothos, and for good reason. 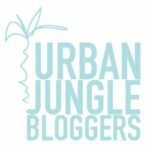 They are lovely trailers, grow like weeds, and increase the jungle factor of any home. The downside? Pretty unsafe for Mittens or Fido. 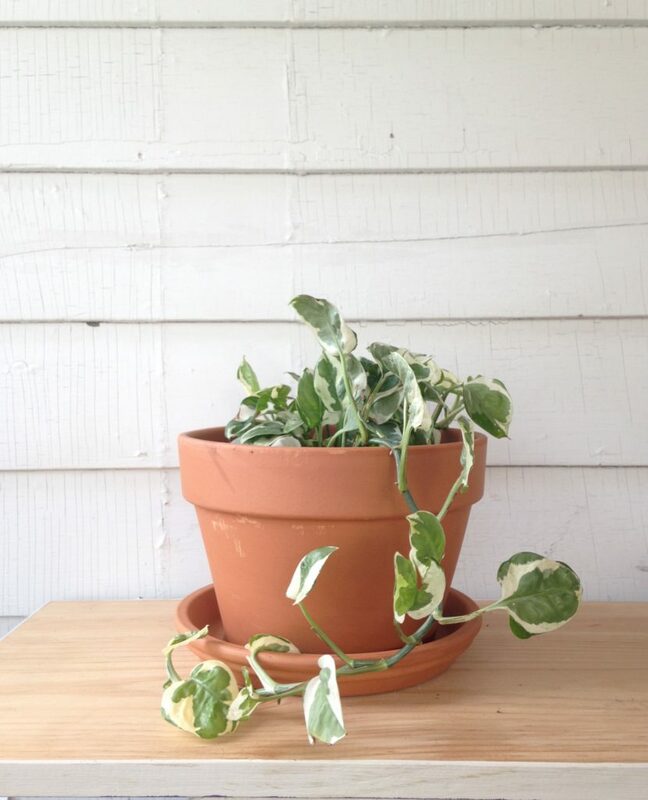 If ingested, Pothos can cause some serious internal damage and vomiting. 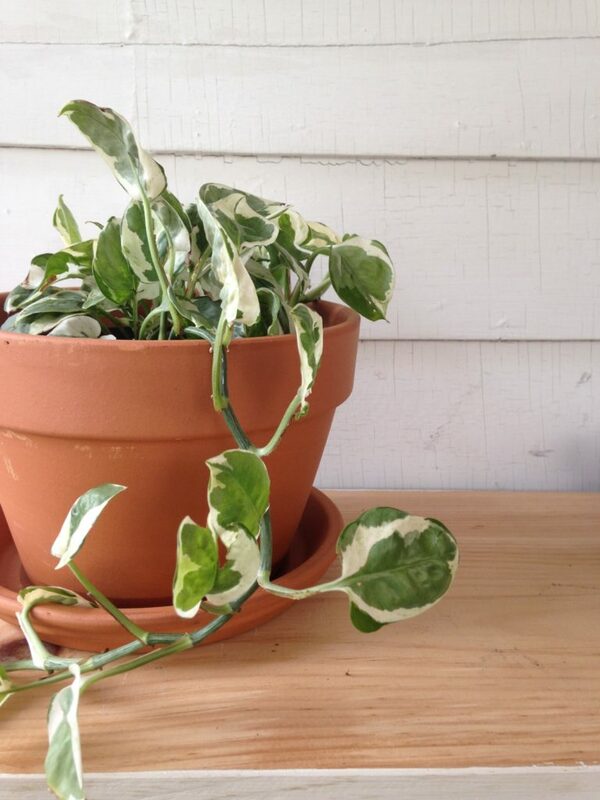 will say this – I actually have several Pothos that live harmoniously in my home. The trick is to hang them in planters from the ceiling, completely out of reach. I have never had a problem with pet consumption for this reason. However, if your cat is a climber or dog is a destroyer, I would skip this plant altogether. 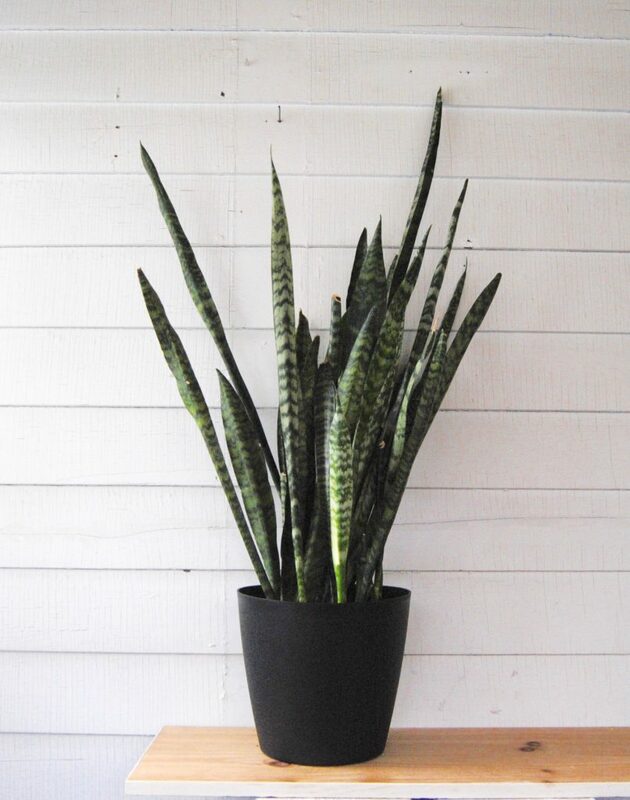 The quintessential low light plant, Sansevieria are pretty common in all nurseries and garden centers. 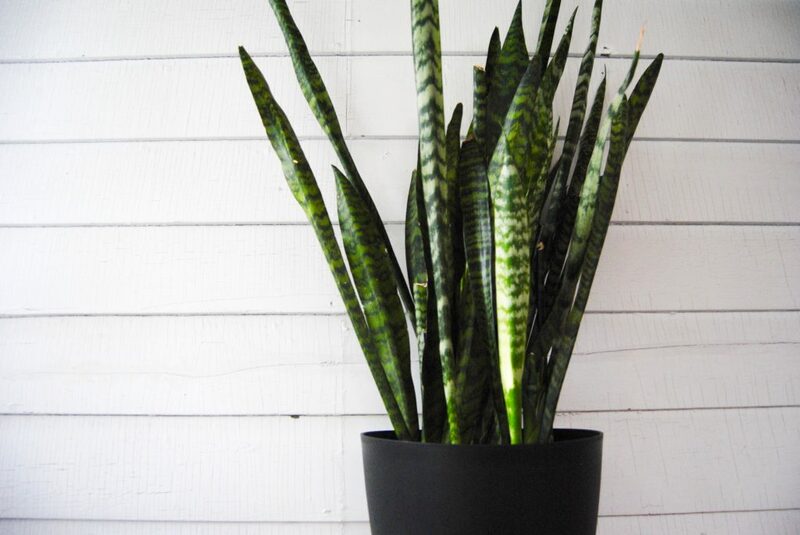 Snake plants are on every “hard to kill” and “low light” houseplant list, many of which do not mention they’re toxic. I find they are cat magnets – I’m not sure if it’s the grasslike verticality or large size. Like Pothos I have several of these on pedestals and never had an issue. The same rules apply – have crazy pets? Find another plant, like cat grass, that is better suited for nosey animals. 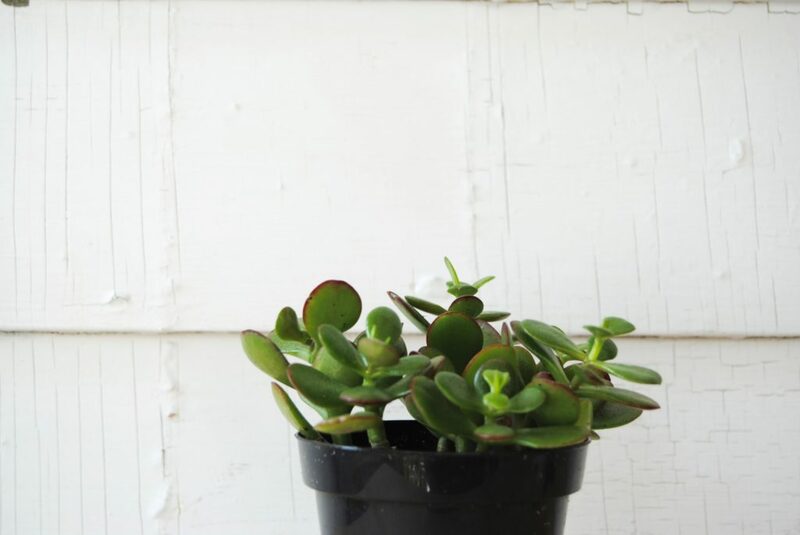 I have this one Jade plant which is somehow still alive. It has been knocked over a dozen times, left to die on the floor from my careless cat, prodded at by paws, and recently recovered from a mealybug infestation. 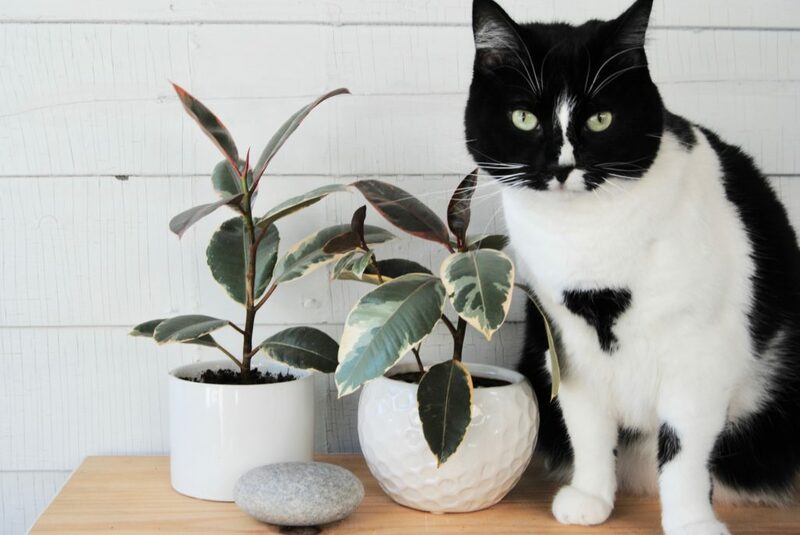 Cats especially like Jades and destroying them – that fact alone should deter you from purchasing one. If you need another reason: if eaten, they cause vomiting and depression. Save them for office desks or browse for them on Instagram if the desire appears. 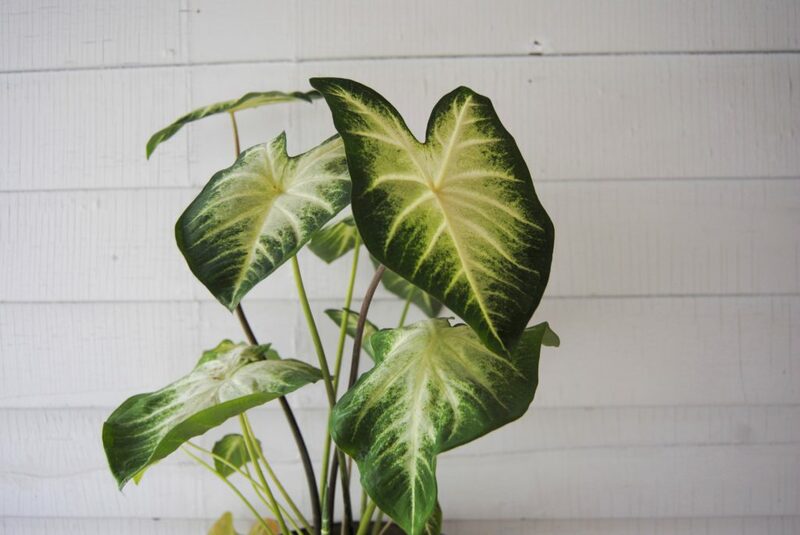 Also called “Elephant Ears,” Caladium are part of the Araceae family, which includes Philodendrons, Peace Lilies, Diffenbacchia – pretty much all plants that are toxic to pets. Caladium are no exception, and nibbling will undoubtedly lead to a vet visit. I know it may seem like all the cool colorful plants are poisonous, but don’t get discouraged. 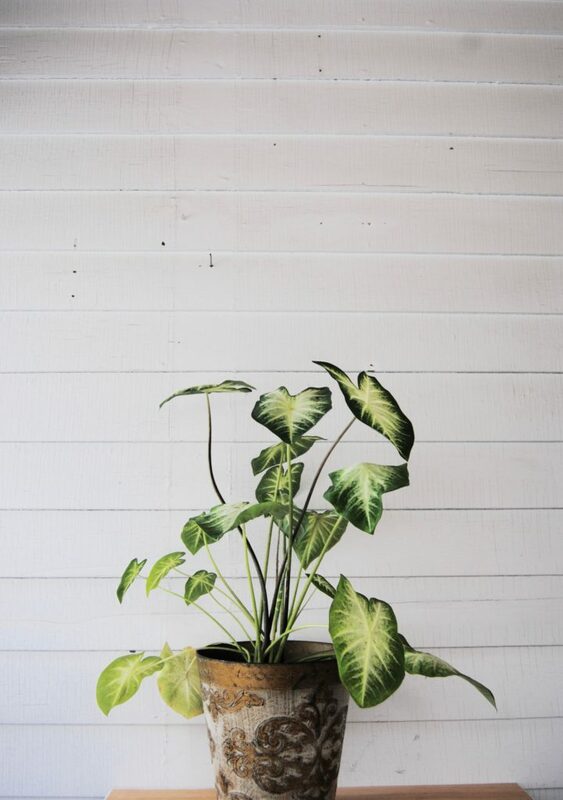 If you’re looking for some cool variegated leaf plants that are safe, look to Calathea or Peperomia instead. I have a Monstera named Monty, and I’m going to be a huge hypocrite here – I LOVE him. 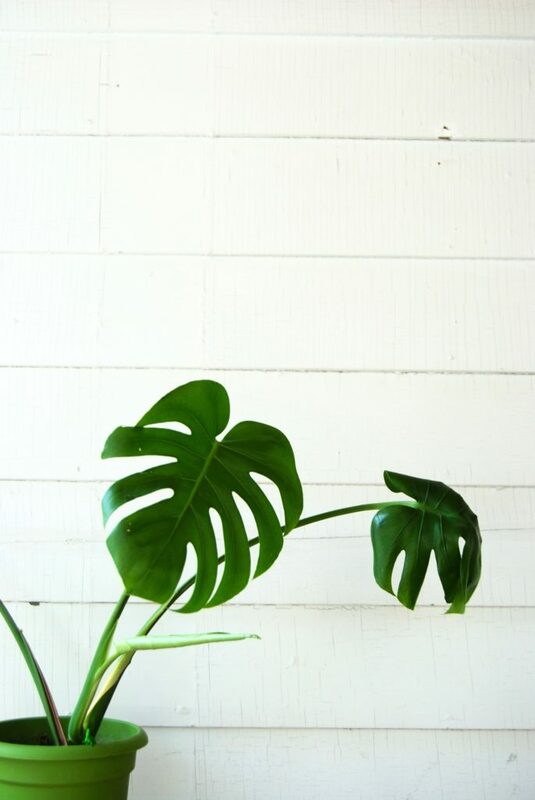 And I am all about #monsteramonday on IG, propagating, and everything to do with Monsteras. And you see the conflict here….this is a blog about pet safe plants, and all I do is talk about this guy who is just bad news. Since Monsteras are also part of the Araceae family, they are unsafe to pets. Because they have huge leaves and grow to be such a large size, my cats have no interest in consuming them. Like mentioned before, depending on your pet, you may be fine with large scale plants like these. Do be warned: Monsteras do produce smaller leaves along the base that may be snackable for pets. 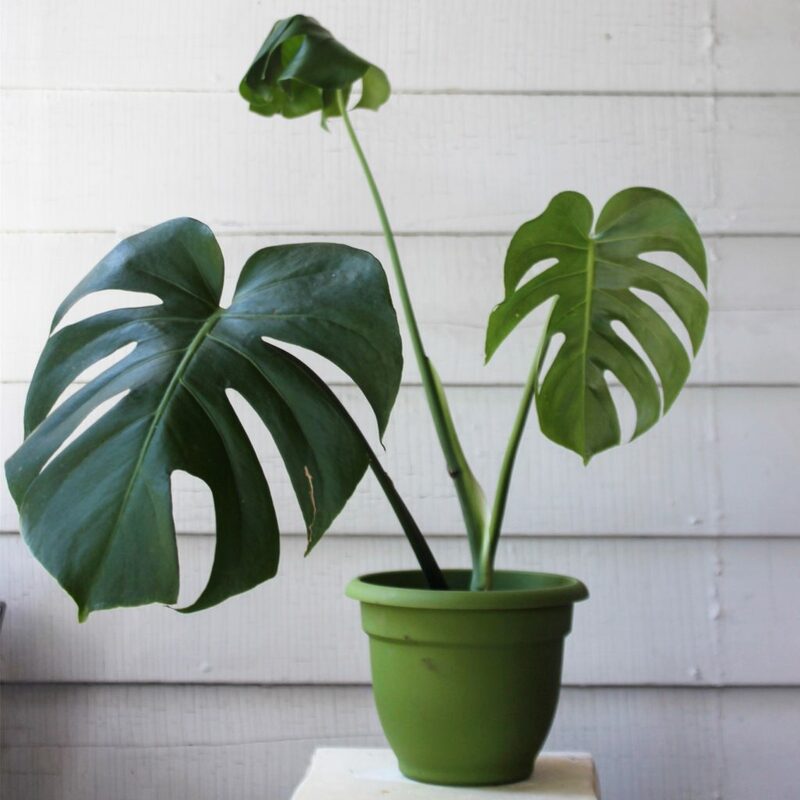 Already have a Monstera? Don’t worry. Perch it on a pedestal out of reach, or use a cat deterrent spray (my DIY will be available soon) on the leaves. That should do the trick. As fall approaches, I see a lot of Crotons making appearances. They’re leaves are cool, yes, and autumn looking, yes, and easy to care for, yes. Sadly, they do make the toxic list. 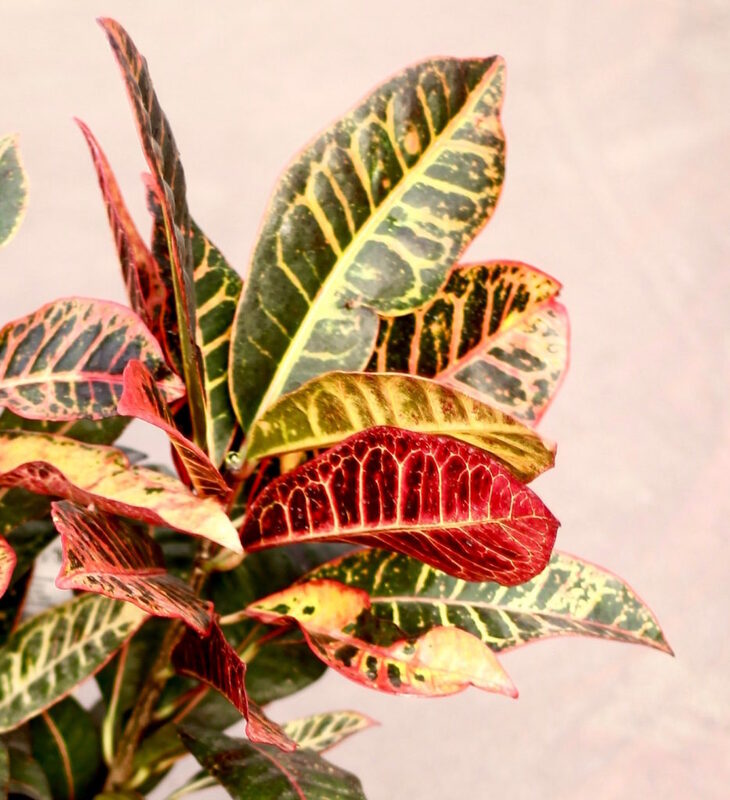 If eaten or nibbled, crotons make cause mouth sores and tummy troubles, leading more serious issues like listlessness. I think we can all agree we prefer our pets listful. 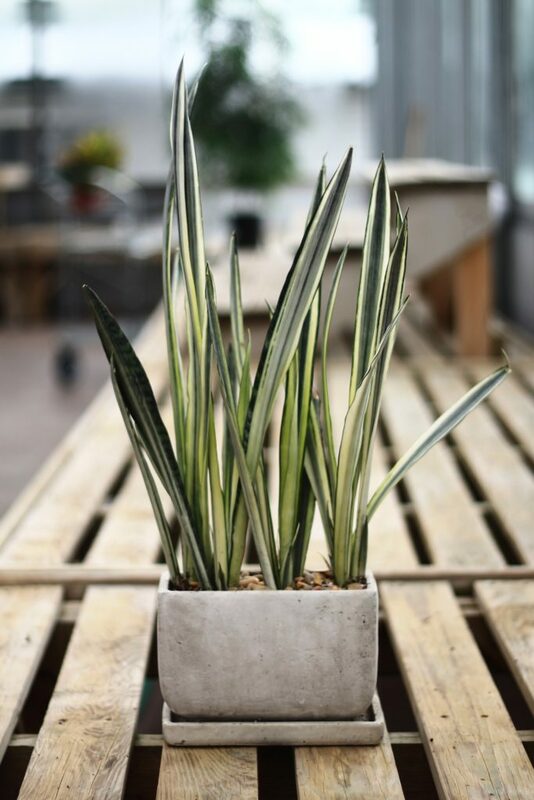 Remember: As a plant collector, it’s difficult to avoid unsafe plants – usually the toxic ones are the most sought after. 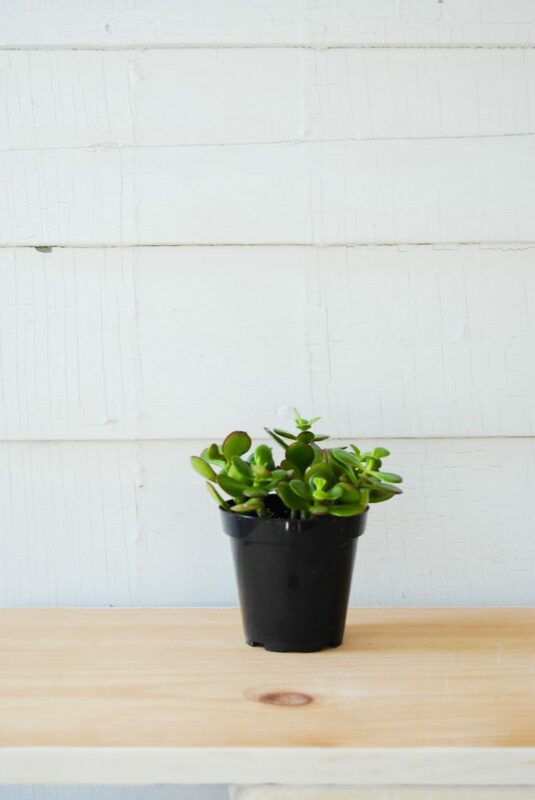 I always advise to keep these plants in high places, such as a hanging planter, or on pedestal or plant stand away from table tops. Destructive pets should not have access to plants at all, since usually the plant ends up in a crime scene on the floor with a broken pot. Still curious about a plant I haven’t discussed? Leave a comment below. Happy planting!